The Denver Nuggets may be No. 2 in the NBA Western Conference, but there is something about the Brooklyn Nets that the Nuggets just can’t shake. The Nets became the second team this season to sweep the Nuggets (2-0), the other being the Milwaukee Bucks. And, because teams only play teams outside their conference twice in a season, there won’t be an opportunity for the Nuggets to even the score, so see you next season. Perhaps, the Nuggets got too comfortable with their 14-point lead in the first quarter. 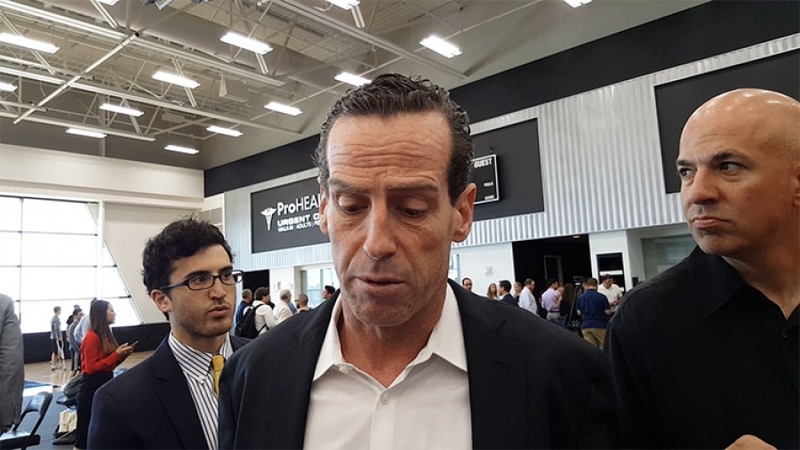 Or, perhaps it was Nets head coach Kenny Atkinson’s decision to pull starting forward Rodions Kurucs, who wasn’t as productive as he could have been, and slide in DeMarre Carroll in his place, but whatever the reason, in short order the momentum changed. The Nets ended the first quarter down five points, Nuggets 35 – Nets 30. Brooklyn turned up the heat in the second leading by as much as 14 points at 5.6 seconds before ending the half up by 12 with a score of 72-60. The Nets saw more gold in the third quarter ending it up by 21 with a score of 108-87. Now, the Denver Nuggets are No. 2 in the Western Conference for a reason, and in the fourth stanza, the Nuggets dug deep into their inner being and gave the Nets a run for the money. Fortunately for the Nets, the Nuggets couldn’t seal the deal and the Nets won 135-130. With the win, the Nets improved to 29-27 overall and 17-12 at Barclays Center and besting last season’s win total of 28-54, a huge accomplishment. At the end of a game, there are some coaches that take a loss and don’t show their disgust or disappointment in their team’s performance. However, last night, Denver Nuggets head coach Michael Malone gave kudos to the Brooklyn Nets, and overall, he was not happy with his some of his starters. Nets point guard D’Angelo Russell explained how the Nets were able to take advantage of the Nuggets. D’Angelo Russell was one of seven Nets players scoring in double-digits against the Denver Nuggets. Russell led the Nets with 27 points (6-of-9 3FG), six rebounds and 11 assists in 35 minutes and registered his single-season career-high sixth double-double in the process. And, he will now play in the NBA All-Star game replacing the Indiana Pacers guard Victor Oladipo who is out with an injury. DeMarre Carroll, posting his third double-double of the season, recorded 18 points, 10 rebounds, a career-high-tying six assists and a season-high four steals (matching the most steals recorded in a game by any Net this season) in 28 minutes off the bench. Joe Harris scored 17 points (7-of-13 FG, 3-of-6 3FG) with five rebounds, two assists and a steal in 32 minutes. Treveon Graham tallied 16 points (6-of-9 FG, 4-of-6 3FG) – marking his second-most points scored in a game in his career – with three rebounds, two steals and, an assist in 23 minutes. Both Jarrett Allen and Rondae Hollis-Jefferson logged 15 points and Allen added five rebounds to his total. Shabazz Napier, part of the Nets second unit last night, posted his first-career double-double with 10 points and a career-high 11 assists in 27 minutes. For the Denver Nuggets, Nikola Jokic registered 25 points, 14 rebounds, and 10 assists; former Nets player, Mason Plumlee, posted 24 points, six rebounds, and three blocked shots; Jamal Murray accumulated 19 points, 11 assists, and three rebounds; Monte Harris, came off the bench and scored 18 points, five rebounds, and five assists; Malik Beasley, a starting guard, tallied 17 points, and; Trey Lyles, a member of Denver’s second unit chipped in 15 points and five rebounds. With Plumlee being a former Nets player, of course, someone had to ask Coach Malone about Plumlee’s performance last night. So, what’s Denver’s next move? The Denver Nuggets will be in Philadelphia tomorrow, Friday, January 8, 2019, to play the Philadelphia 76ers. Meanwhile, the Nets will still be at home and will host the Chicago Bulls, also tomorrow, Friday, January 8, 2019, at 7:30 p.m. at the Barclays Center in Brooklyn. On the heels of losing to the Boston Celtics on Monday night, the Brooklyn Nets had just enough energy to bounce back on the second night of a back-to-back to get their 9th-straight win at home by overtaking the Chicago Bulls 122-117. The Nets are now 28-24 overall and a testament to a popular saying, “believe in the system”. With the win last night, the Nets have matched their win total for all of last season. And, that wasn’t the only good news of the night. The Nets learned that the NBA selected Jarrett Allen and Rodions Kurucs to play during the NBA All-Star weekend in Charlotte, North Carolina. Allen and Kurucs will play in the NBA All-Star Rising Stars game on February 15, 2019, which is a great opportunity for these young men to play on the world stage. "It means a lot,” Allen said about his selection to be part of the NBA All-Star festivities. 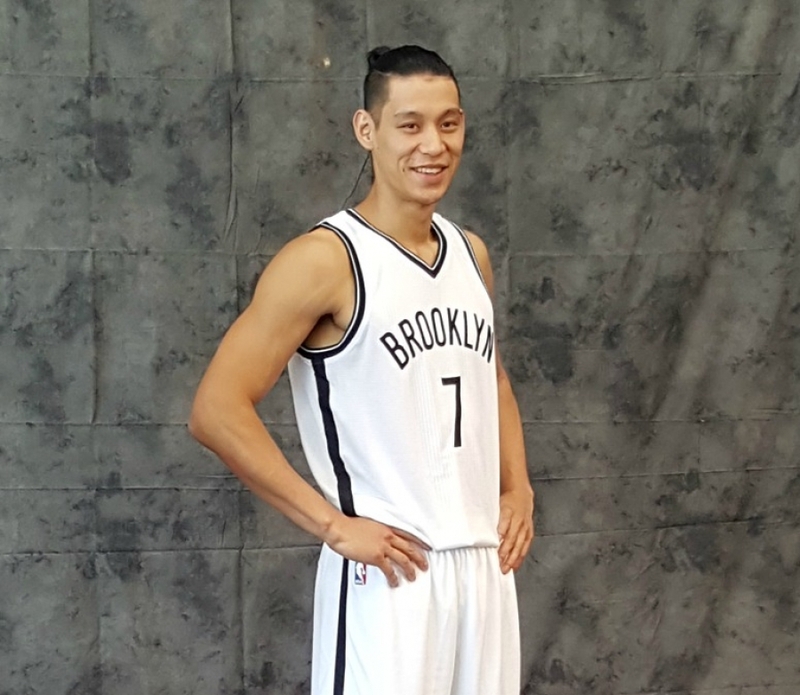 “Just showing how far Brooklyn's come and for me to represent them, it means a lot to me." But, Allen and Kurucs won’t be on the same team. Kurucs, who is a native of Latvia, will play on the international team with other players from outside the U.S. and Allen will be on the American team. So, what will that be like with Allen and Kurucs playing against each other? "Me and Rodi were talking about it,” Allen added. “He's going to try to dunk on me, so I'm going to show him what happens if he tries." Both Allen and Kurucs are NBA newbies; Allen came into the league in 2017 and this is Kurucs’ rookie season, and both have bought into Coach Atkinson’s system of teamwork, offense and defense, and grinding it out to the last buzzer sounds. Atkinson is right, the Nets didn’t shoot well. They made 42 out of their 94 field goal attempts (44.7 percent) and only 10 of 35 of their 3-point attempts (28.6 percent). D’Angelo Russell led all scorers with 30 points (10-of-22 FG) along with a game-high seven assists and three steals in 36 minutes. Russell has now recorded nine 30-point games this season alone. Shabazz Napier scored 24 points with three rebounds, four assists, and three steals in 25 minutes off the bench. Rondae Hollis-Jefferson recorded 18 points (7-of-10 FG) with four rebounds, and two assists in 21 minutes also as a reserve player. Joe Harris, a starter, tallied 17 points, five rebounds, three assists, and a steal in 32 minutes, and; DeMarre Carroll posted 11 points, three rebounds, and two steals in 26 minutes. For the Chicago Bulls, Zach LaVine, scored 26 points, five assists, four rebounds, and two steals; Jabari Parker came off the bench for the Bulls and posted 22 points, nine rebounds, three assists, and two steals in 23 minutes; Lauri Markkanen registered 18 points and 19 rebounds; Kris Dunn tallied 15 points, three rebounds, and two blocked shots, and Bobby Portis chipped in 12 points and five rebounds. Chicago Bulls head coach Jim Boylen summed up his team’s performance. So, what's next for the Chicago Bulls? They will travel to Miami to face the Miami Heat tonight at 7:30 p.m. ET. The Nets will also hit the road and travel to San Antonio to play the Spurs tomorrow, Thursday, January 31, 2019, at 8:30 p.m. ET. 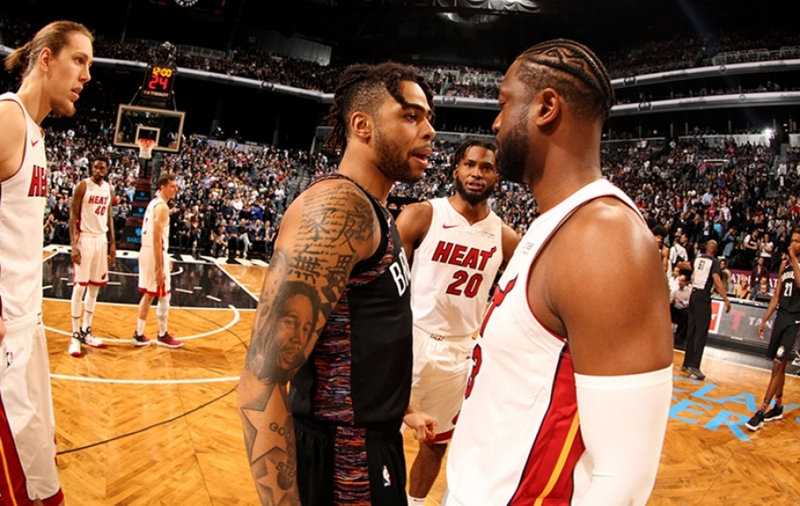 The Orlando Magic will get a visit from the Nets on Saturday, February 2nd, and then the Nets travel back home to play the Milwaukee Bucks on Monday, February 4, 2019, at the Barclays Center at 7:30 p.m.
What started off as a winnable game for the Brooklyn Nets turned into a nightmare. 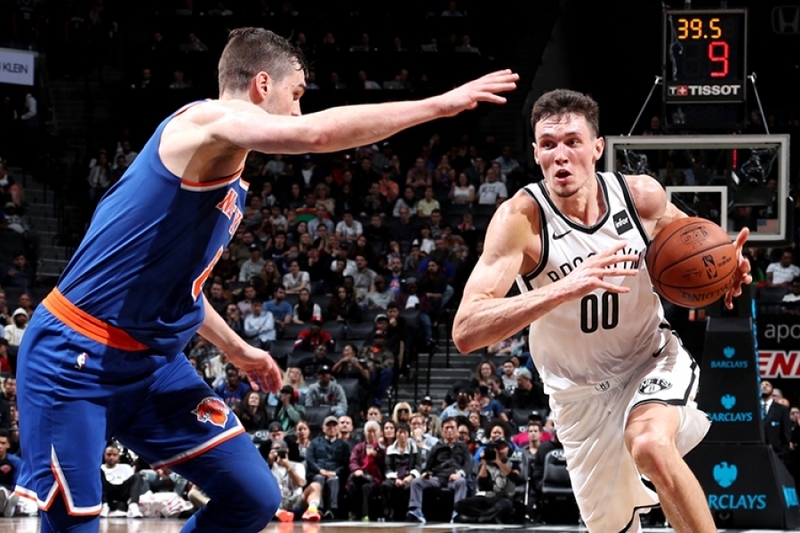 The Nets were up by as much as 10 points in the first quarter at the 2:15 mark and up by as much as 14 points in the second at 3:11 before ending the first half with a five-point spread 61-56. 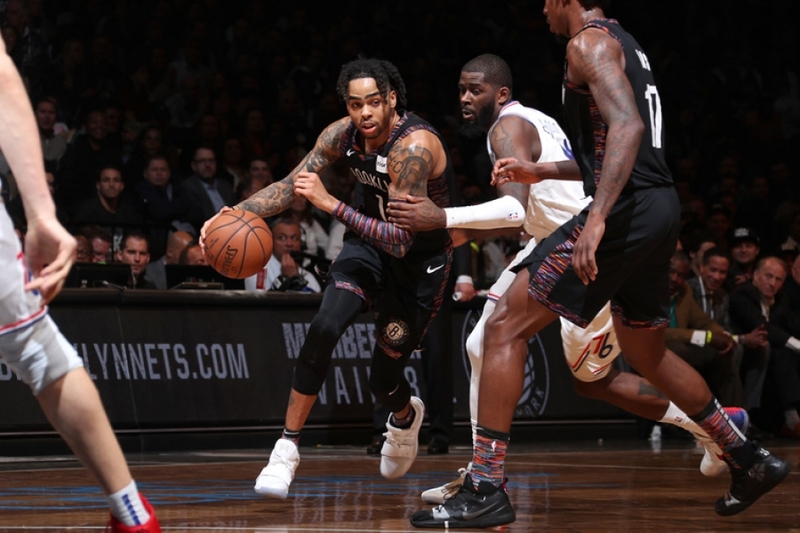 As per the case with the Nets, the third quarter brought a reversal of fortunes, as the Rockets came on with a burst of energy leading the Nets by as much as eight points before ending the third with just five points over the Nets at 91-86. Early in the fourth quarter, the Rockets led by as much as eight points; the Nets tried to make it interesting by getting within one point twice with two three-pointers from guard Caris LeVert at 7:12 (Rockets 100 – Nets 99) and then again at 6:45 (Rockets 106 – Nets 102). But with missed shots and fouling, the Nets allowed the Rockets to close out the fourth 119-111. With this loss, the Nets fell to 3-6 this season and 2-2 at Barclays. The Nets loss also allowed the Rockets to improve their overall record to 2-5 and 2-1 on the road. 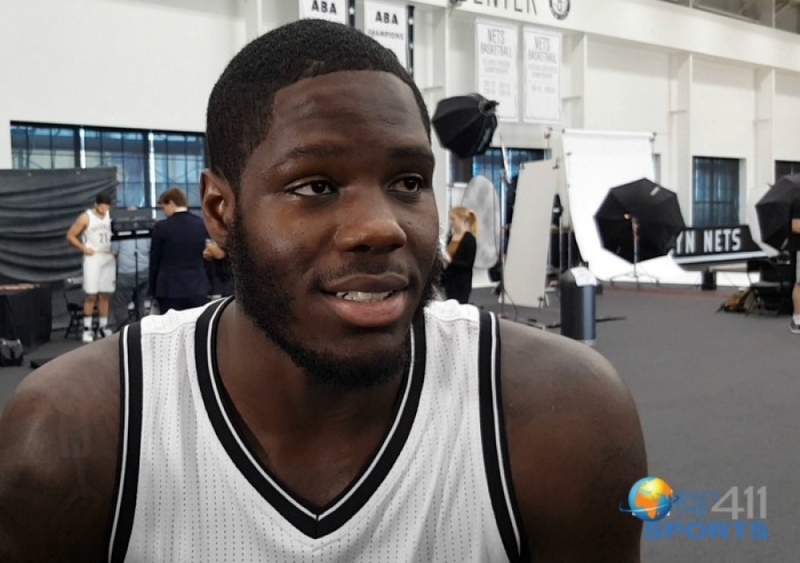 So, now, let’s give some credit to LeVert for keeping the Nets in the game with his offense. LeVert had another fiery night. Yep, LeVert was on FIYAH! He led the Nets with a career-high 29 points (10-of-17 FG, 4-of-6 3FG, 5-of-7 FT) with four rebounds, two assists, a season-high three steals and one block in 30 minutes. Let me repeat that, Nah, I won’t; you can read it again if you want. Caris LeVert is moving into NBA All-Star territory. LeVert has already matched or set a new career-high three times through nine games this season, scoring 20-plus points five times this season. By comparison, LeVert didn’t record his fifth 20-point game last season until March 8 at Charlotte. Yes, this season is a different story, through nine games, LeVert is averaging a team-high 20.0 points per game with .489 FG%. As good as his performance was, LeVert knows that it is a team effort and somewhere the Nets defense was not what it could have been. 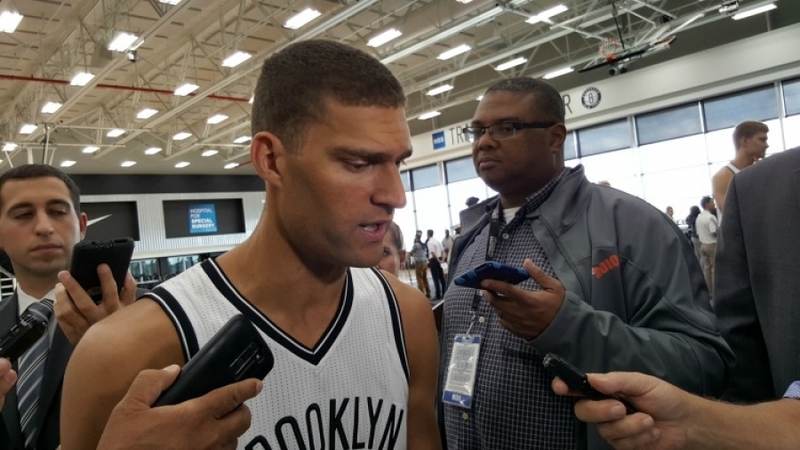 So, what can the Nets do to prevent the lapses when the momentum shifts dramatically? 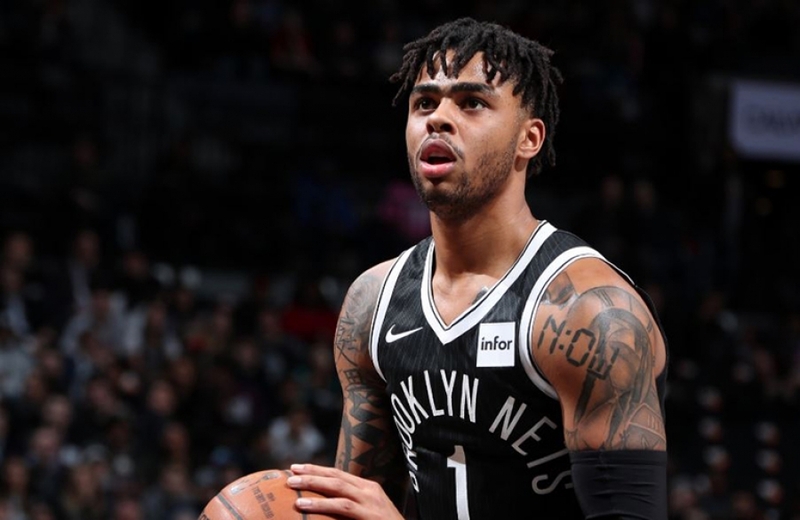 Nets other high scorers were Joe Harris with 18 points and four assists; D’Angelo Russell and Spencer Dinwiddie (off the bench) each scored 12 points and three assists, and Russell added three rebounds. Shabazz Napier came off the bench and scored 11 points in 16 minutes, while center Jarrett Allen chipped in 10 points and eight rebounds in 27 minutes. The Houston Rockets only had four players scoring in double digits, but that’s all they needed, as they all scored more than 20 points each. Chris Paul led all scorers with 32 points, 11 assists, and seven rebounds. Former New York Knicks forward Carmelo Anthony came off the bench scoring 28 points and four rebounds for his new team; Clint Capela registered 22 points, 13 rebounds, and five assists, while; Eric Gordon added 21 points and three assists. Houston Rockets head coach Mike D’Antoni liked what he saw in his guys. D’Antoni also praised Carmelo Anthony’s production coming off the bench with hopes that there is more to come. The Houston Rockets are on to another road game, as they will play the Chicago Bulls tonight at 7:00 p.m. CT.
On tomorrow, Sunday, November 4, 2018, the Brooklyn Nets will host the Philadelphia 76ers at Barclays Center at 6:00 p.m. ET. Let’s set the scene. The Brooklyn Nets are at home at the Barclays Center. Spencer Dinwiddie knocks down a three-pointer to pull the Nets ahead by one point with 7.1 seconds left in overtime. And then after a timeout, Blake Griffin misses a 19-foot turnaround fadeaway shot at the 1.3-second mark that could have pulled the Detroit Pistons ahead. Nets guard Caris LeVert grabs the rebound, and the horn sounds to seal a Brooklyn Nets 120-119 win over the Pistons and pandemonium sets in. Well, pandemonium may be hyperbole, but it was close, as the last Nets win at home was on October 19, 2018, against the New York Knicks. Now, the Nets home record at the Barclays Center for the season is 2-1, and their record overall for this young season is 3-5, while the Pistons fell to 4-3 overall and 1-2 on the road with the loss. The player of the game, Dinwiddie, scored a season-high 25 points (8-of-15 FG, 5-of-9 3FG, 4-of-4 FT) with four rebounds and four assists in 32 minutes off the bench. With 21 seconds left in the fourth stanza, Dinwiddie also tied the game (110-110) to send the game into overtime, scoring 17 of his 25 points in the fourth quarter and overtime period combined. Dinwiddie has now tallied 20-plus points twice this season. Ironically, his previous season-high 23-point performance came against the Pistons in the season opener at Detroit on October 17th, but the Nets lost 103-100. But last night, a three-pointer nearly at the buzzer from Dinwiddie, a missed shot from Griffin and a rebound from LeVert sealed the win. The irony here is that the Detroit Pistons selected Dinwiddie with the 38th overall pick in the 2014 NBA draft. Dinwiddie spent two years with the Pistons going back and forth between the Pistons and its G-League Team the Grand Rapids Drive and in October 2016, the Pistons traded Dinwiddie to the Windy City Bulls, the Chicago Bulls developmental team. 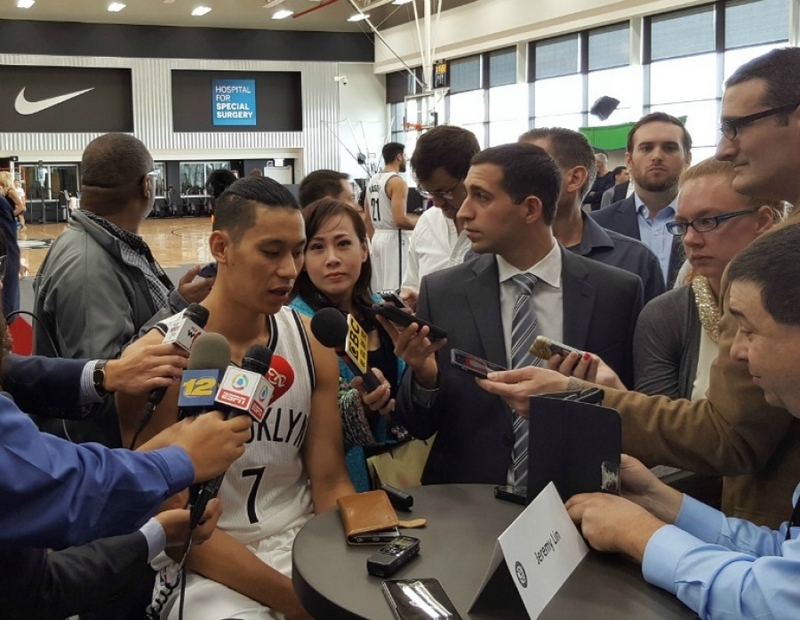 After all that development, the Brooklyn Nets acquired Dinwiddie on December 8, 2016. So, did Dinwiddie want to prove a point? What was really important to Dinwiddie was ending the Nets losing streak. Now, before you start thinking that this article is all about the Spencer Dinwiddie Show, other Nets players made significant contributions as well. Brooklyn Nets forward Joe Harris scored a season-high 23 points (8-of-14 FG, 4-of-7 3FG, 3-of-3 FT) with five rebounds in 41 minutes. Harris commented on the magnitude of the Nets improving in clutch situations. LeVert, in addition to grabbing the rebound at the end of the game, also had a big night for the Nets, tallying 19 points with six rebounds, six assists, and two steals. LeVert gets the vote for “most-improved” Nets player this season, as he has averaged a team-leading 18.9 points per game through eight games this season. Ed Davis, a Nets pick-up this summer from the Portland Trail Blazers for his rebounding abilities, did not disappoint. Davis posted a double-double with 10 points and 10 boards (five offensive rebounds) in 18 minutes off the bench. Last night, Davis registered his second double-double off the bench this season through eight games. Jarrett Allen, in his second season as an NBA player, contributed 14 points (6-of-8 FG) and nine rebounds in 22 minutes, while Jared Dudley, who is in his 11th year with the NBA and his first playing for the Nets, chipped in 11 points, six rebounds and three assists in 38 minutes. A big win for Nets head coach Kenny Atkinson, as he can see the words and actions of the coaching staff are not falling on deaf ears. Of course, Detroit Pistons head coach Dwane Casey was disappointed that his team did not get the W.
Blake Griffin led the Detroit Pistons with the most points at 25 along with nine rebounds, four assists, and two steals. Griffin told the assembled media that he, too, believes his team’s performance came down to mental mistakes and a collection of little things. Griffin could have blamed the Pistons’ lack of focus on playing back-to-back games, as they had just played the Boston Celtics the night before in Boston. But, he didn’t. And, yes, even though Griffin’s last shot to go-ahead for the win didn’t go in, he still relishes the opportunity to have the ball with the game on the line. Although, a good deal of the focus was on Griffin because he had the most points of all Pistons’ players. However, truth be told, the real Pistons scoring-player of the game honors should go to Andre Drummond, who tallied 24 points, 23 rebounds, one assist, and one steal. Reggie Jackson added 21 points and four rebounds. Next up, the Pistons play the Philadelphia 76ers on Saturday, November 3, 2018, in Philadelphia. The Nets play the Houston Rockets at home at the Barclays Center on Friday, November 2, 2018, at 7:30 p.m.
Ed Davis’ ninth rebound of the game was his 3,000th career rebound off the bench. He's one of just seven players since 1983-84 to grab 3,000+ boards off the bench, joining Detlef Schrempf, Thurl Bailey, Nick Collison, Chris Andersen, Chris Gatling, and Dennis Rodman. With Derrick Rose still contemplating his return to the Chicago Bulls lineup and the Brooklyn Nets looking to solidify its playoff spot, both teams met for the last time in the regular season Thursday night at the Barclays Center. The Nets Joe Johnson returned to the starting lineup after missing the last five games (sore left heel) while the Bulls were without Rose, Marco Belinelli (abdominal strain), Taj Gibson (left knee), Richard Hamilton (lower back) and Joakim Noah (right foot) who were all listed day to day. Riding the hot hand of Brooklyn's Brook Lopez (18 points on 8 of 9 shooting) and taking advantage of the absence of Noah, the Nets jumped all over Chicago right from the start getting out to a 13-point first period (26-13) lead. While Lopez sat for half of the second period, guard Deron Williams picked up the slack scoring 8 points as the defense stepped up limiting the Bulls to only 37% from the floor (0-5 from 3 point land) taking 9-point (47-36) halftime lead. Then Chicago's head coach Tom Thibodeau delivered a message to his team that was well received. It began on the defensive end as Chicago allowed Brooklyn only 20 points clamping down on their perimeter shooting. Said Thibodeau, "I thought our intensity picked up. 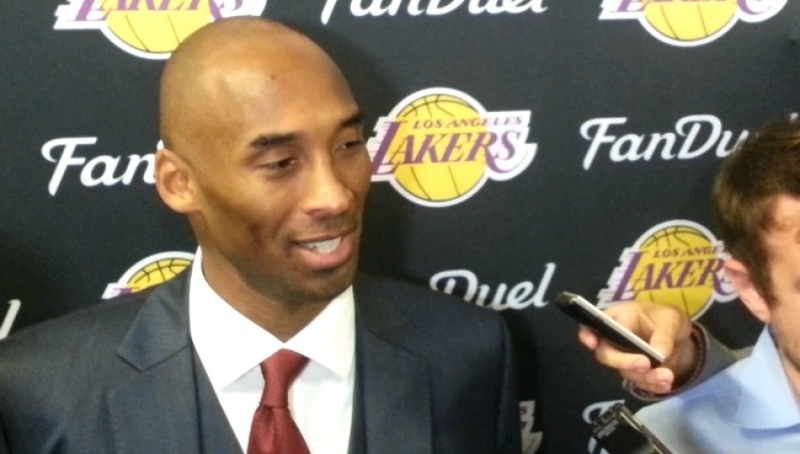 and we had more energy on offense." The Nets missed 11 out of 16 shots (31%) while the Bulls made 50% of their own (13-26) putting 29 points on the scoreboard. Brooklyn, who at one point enjoyed a 16 (36-20) point lead, entered the final quarter leading only by 2 (67-65) after 2 Williams free throws. Neither team would lead by no more than 4 points (4 ties) as both squads intensified their defense. The last tie coming with 1:55 left (84-84) when Williams was fouled on a drive to the basket. After converting the free throw, he scored on a short jumper extending the lead to 3 (90-87) the last lead his team would see. Chicago began its winning 5-0 run with Luol Deng hitting a long jump shot to get them within 1 point (90-89) before ex-Knicks and perennial pest Nate Robinson made his presence known. Robinson began by forcing a Lopez turnover and after a 20 second Bulls timeout, he dribbled right past the free throw line floating up a soft jump shot that gave Chicago the lead (91-90). "Coach said get it and go if we got a turnover or rebound," said Robinson describing the play. Brooklyn had plenty of time left (22.7) with a chance to at least send the game into overtime. It did not happen. Williams broke down the Bulls defense and shuffled the ball off to Lopez who looked like he had a clear layup or dunk but did not have total control of the ball on the way up. It allowed the Bulls veteran Nzar Mohammed to fully extend, cleanly blocking the shot. He then had the composure to grab the rebound. A Chicago free throw pushed the lead to 2 (92-90) giving Brooklyn yet another shot at tying or outright winning the game. Inbounding the ball with 5.5 seconds, Williams once again penetrated to below the foul line and shuffles the pass to Lopez again. His 17' fadeaway rolled around the rim before falling out as Chicago escaped with the 92-90 victory. Brooklyn's interim head coach P.J. Carlesimo had no problem with the decisions Williams made down the stretch. "Deron made a very good decision both times. He found Brook going to the basket the first time and he found him wide open the second time," he said. Unfortunately, neither resulted in a basket. The Chicago Bulls took 3 out of 4 games from the Brooklyn Nets which may be a factor in the playoff seedings if they end up with the same record at the end of the year. "We're trying to get better each game," said Robinson. "It's something that the coach always harps on. Play your best basketball towards the end of the season."